1 survives, 23 die. Is either position preferable? Every year, the Capitol chooses 24 tributes from the ages of 12 through 18 to compete in the Hunger Games where they fight to the death. The last tribute alive receives a year’s worth of food and glory for their district. Some might think that it’s worth it when normally you are barely surviving; but not if you have to live with the guilt and nightmares of those who died for your survival. Katniss and Peeta are going to show the capitol that they are more than just a piece in their games. 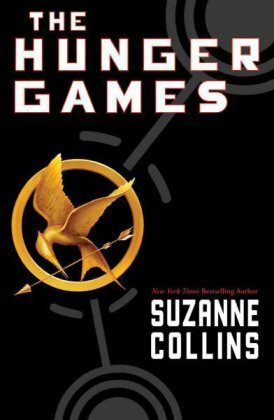 In The Hunger Games, Suzanne Collins holds readers’ attention and interest throughout the whole novel; she keeps the story realistic with a futuristic edge, she appeals to all audiences with different situations and interests, and she leaves cliffhangers at the end of every chapter to keep readers reading through the night. Suzanne Collins keeps the audiences interest by keeping the story realistic with a futuristic edge. The futurism shows in the way that it takes place after the fall of North America; while the realism is brought forward by pushing the concept that all though the book takes place after the fall of North America, the government still controls and punishes. “Taking the kids from our districts, forcing them to kill one another while we watch – this is the Capitol’s way of reminding us how totally we are at their mercy”(18). This quote resembles the author’s purpose because many people look to the government for help and so it’s relatable and realistic. The futurism is how no government in their right mind would force people to sacrifice their children to fight to the death for entertainment. This is where my next point comes in; having dramatic ideas like this creates conflict and is appealing. Collins leaves cliffhangers strategically through out the story, mainly at the end of chapters, to keep readers reading through the night. “She just has time to reach her hand through the mesh and say my name before the spear enters her body”(232). This is a very suspenseful ending to a chapter that captivates the audience into continuing on to find out what will happen. “Who is it? Will she live? NO!” These are things readers will respond with if they are left with a great, yet terrible, cliffhanger like the one above. All of these points contribute to the reason that you cannot put the book down; it’s because Suzanne Collins is a master for holding readers’ attention. Holding readers’ attention throughout the whole novel is very important for an author to do and Suzanne Collins has done this flawlessly in The Hunger Games. If an author does not do this, the readers can lose interest and not finish the book. If readers do not finish the book then, it obviously cannot become a best seller. Suzanne Collins has definitely created a best selling series that is sure to beat out Twilight and maybe become a contender for the spot Harry Potter currently holds. Collins’ skills of keeping the story realistic while futuristic, appealing to all audiences with different situations, and leaving superb cliffhangers at the end of chapters to keep readers intrigued, is sure to pay off; literally. the hunger games is the best book and this is a great description. awesome summary of it! this quote is not how it appears, it is about coming from nothing and making something of yourself.